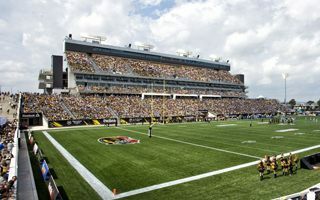 Plans to build a new stadium in Hamilton were surfacing regularly until 2012, mostly with the building being located in new locations – downtown or in more distant areas. 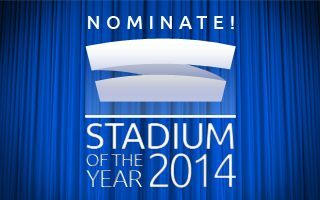 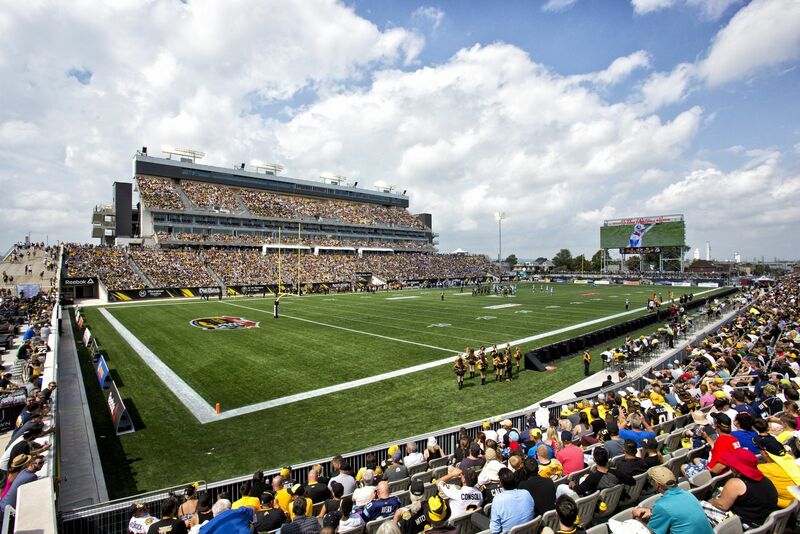 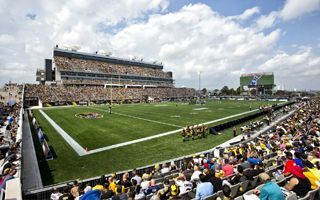 But eventually a different option won, proposing a brand new stadium to replace Ivor Wynne Stadium with the field rotated by 180 degrees to a more traditional North-Sout layout. Initially it was planned as a multi-use stadium with athletic track to serve as a venue of the 2015 Pan American Games. 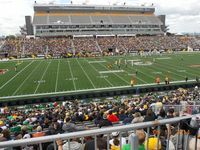 Eventually the plan was changed to include only Canadian football, rugby and association football (soccer). 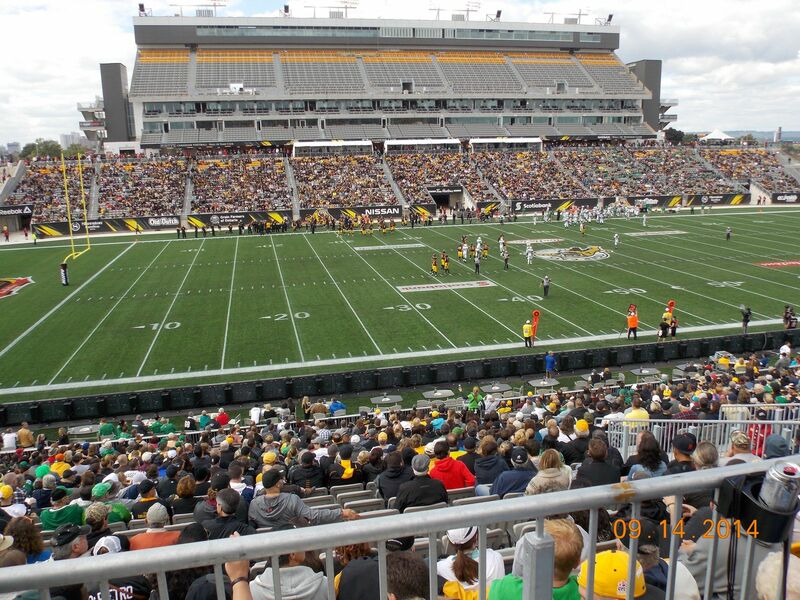 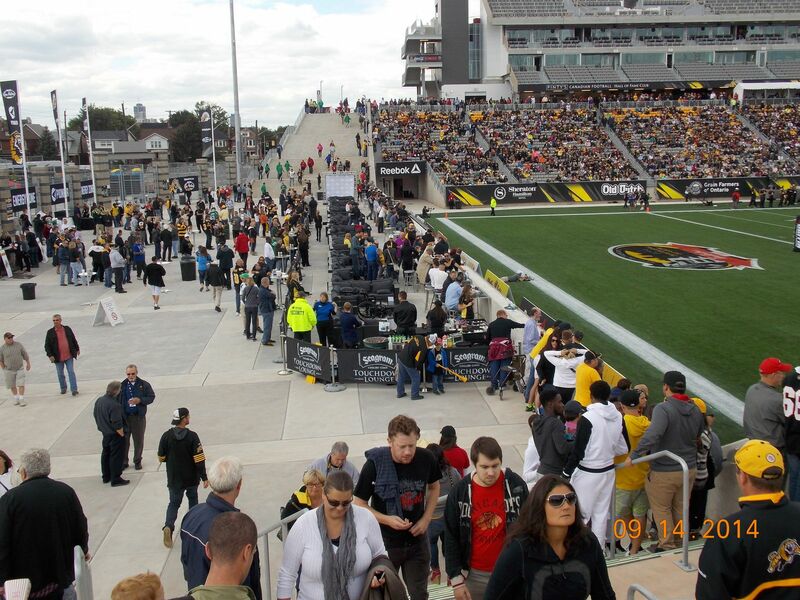 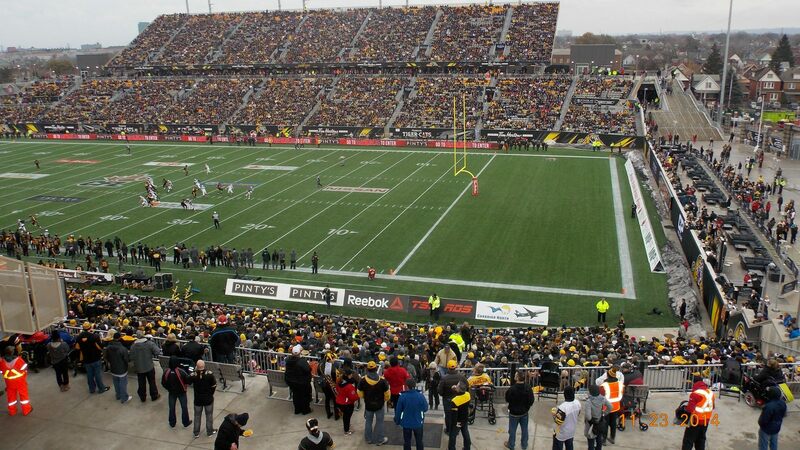 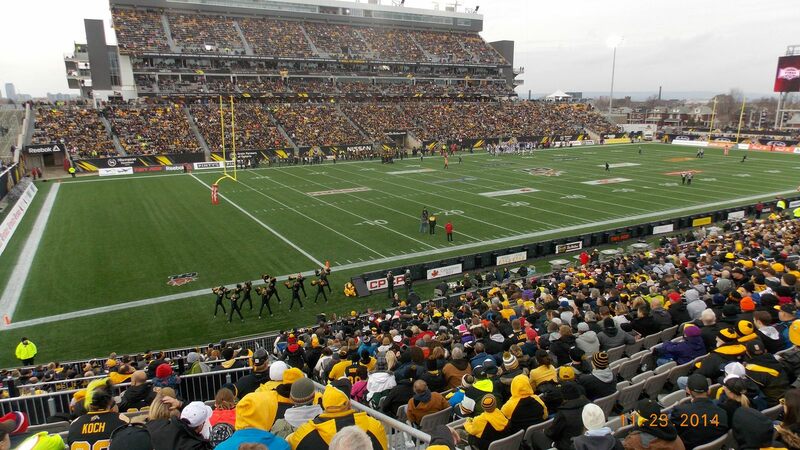 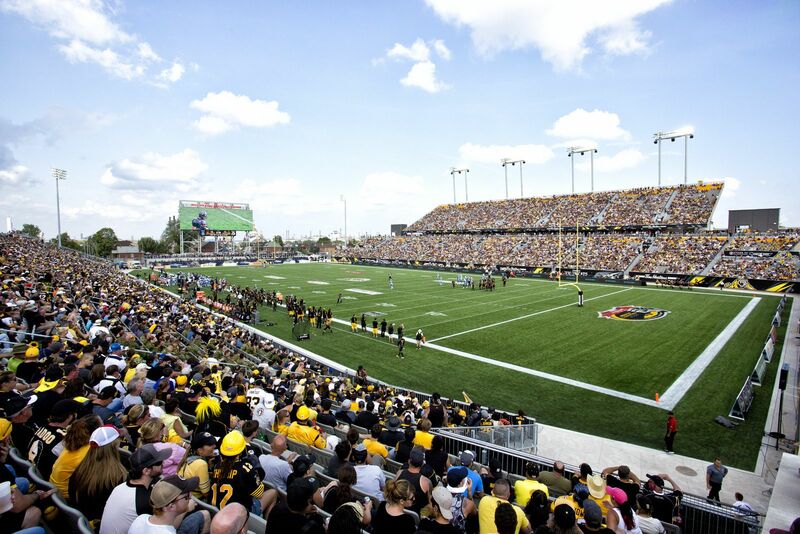 Ironically, it later proved that another soccer venue wasn’t needed for the Pan American Games, but project wasn’t halted as the Hamilton Tiger-Cats were awaiting their new stadium and needed it either way. 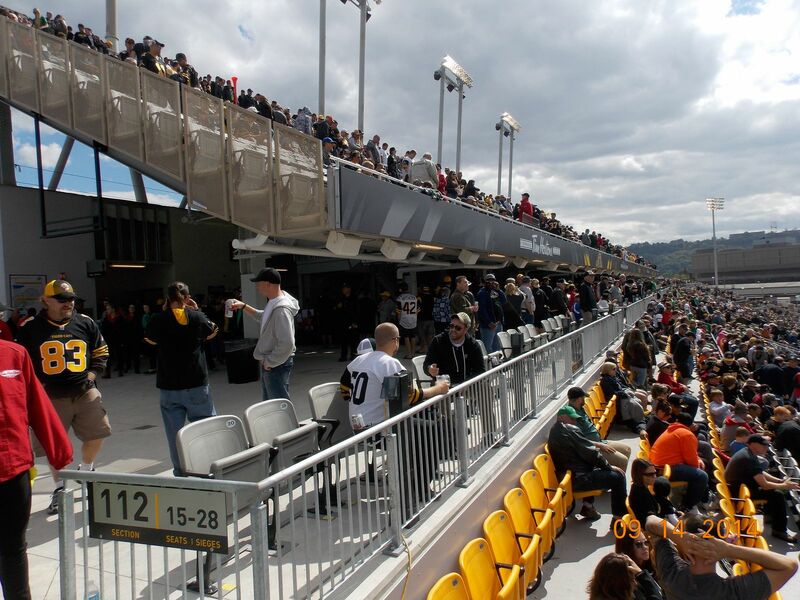 Construction along the B+H Architects vision was launched in early 2013, focusing on the west and east sides of the field. 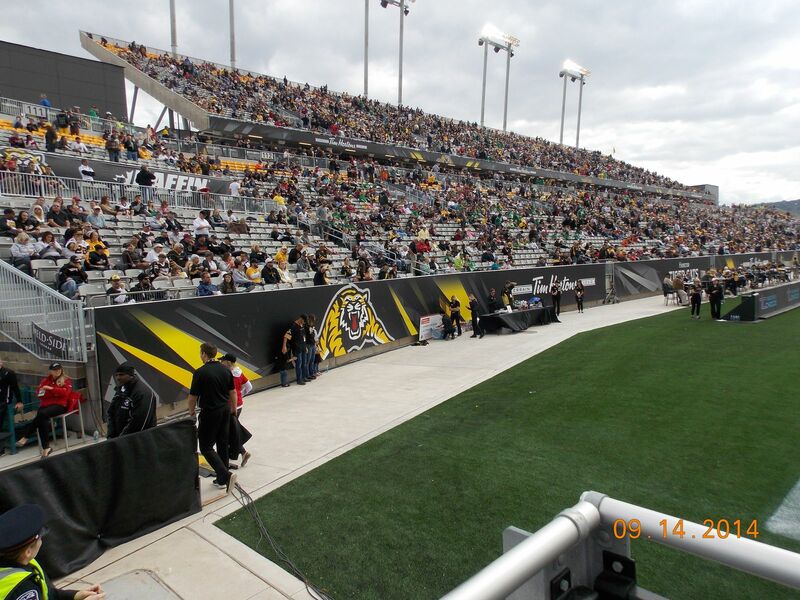 This is where 22,500 seats are located, leaving both ends nearly empty, with significant plazas. 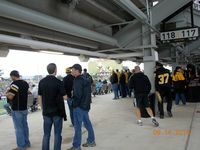 On regular weekends additional premium standing is located there for roughly 1,500 people. 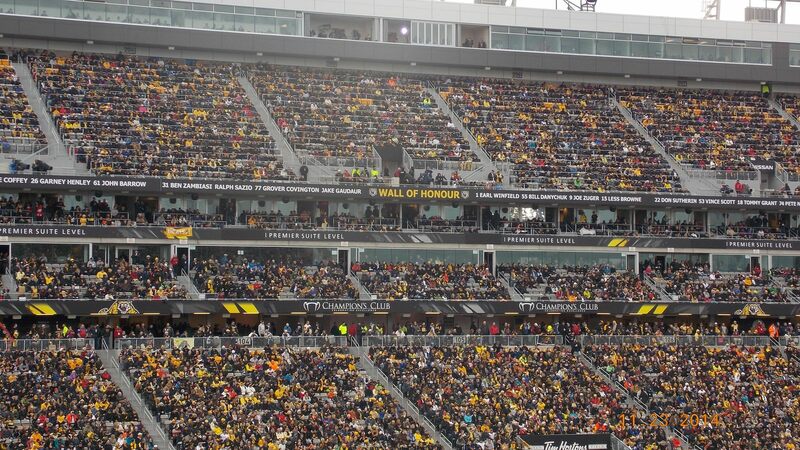 However for special occasions over 17,000 temporary seats may be fitted there, bringing the capacity to 40,000 – enough to hold the Grey Cup. 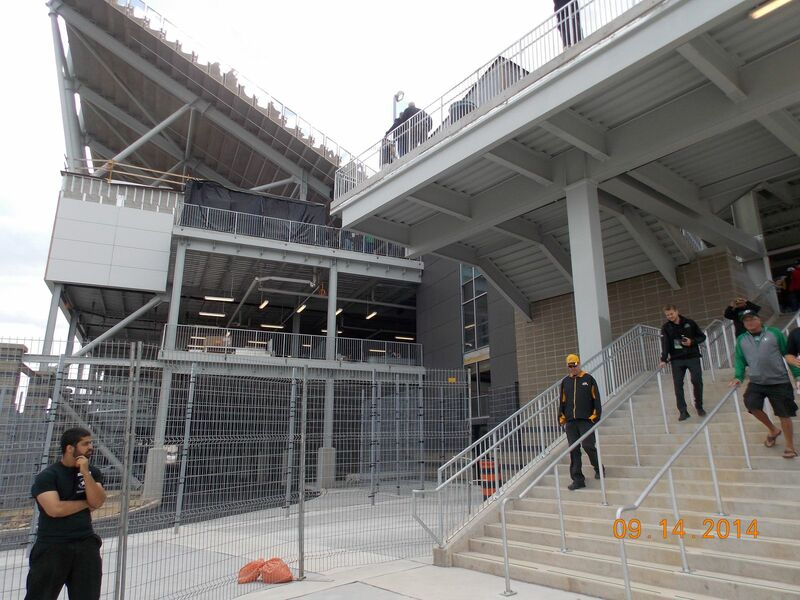 Construction was planned to last under 1.5 years and end on June 30, 2014, but delays weren’t avoided. Eventually the ground was opened while still under construction, leaving the upper west stand empty. That part of the stadium is where 30 skyboxes and over 1,100 corporate seats are located. 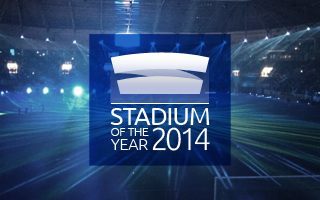 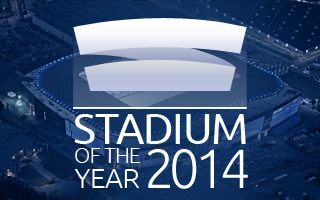 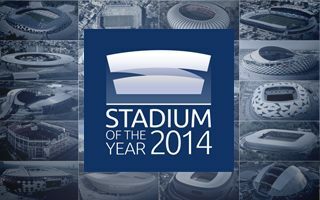 All of the stadium was opened by the end of September 2014. Already under construction the stadium naming rights were secured by Tim Hortons Field, who agreed to paid $7.5 million for one decade. 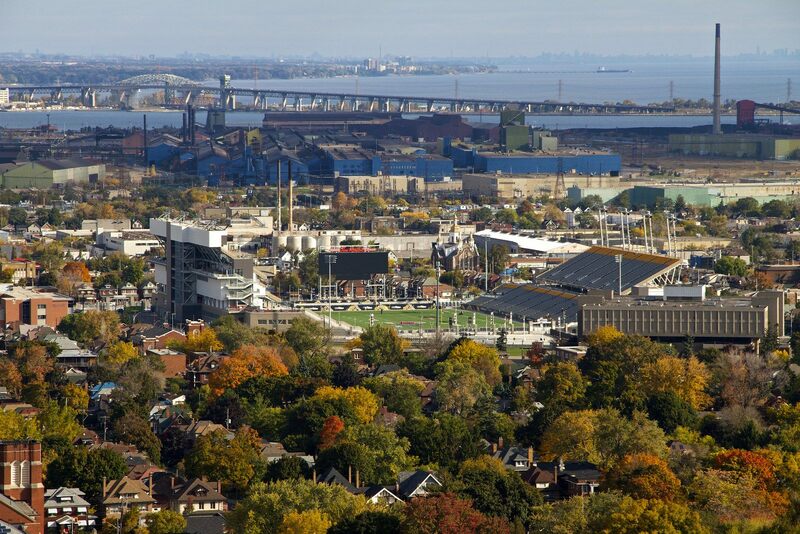 The entire construction consumed $145.7 million, most of which was paid by the Canadian government ($69.1m). 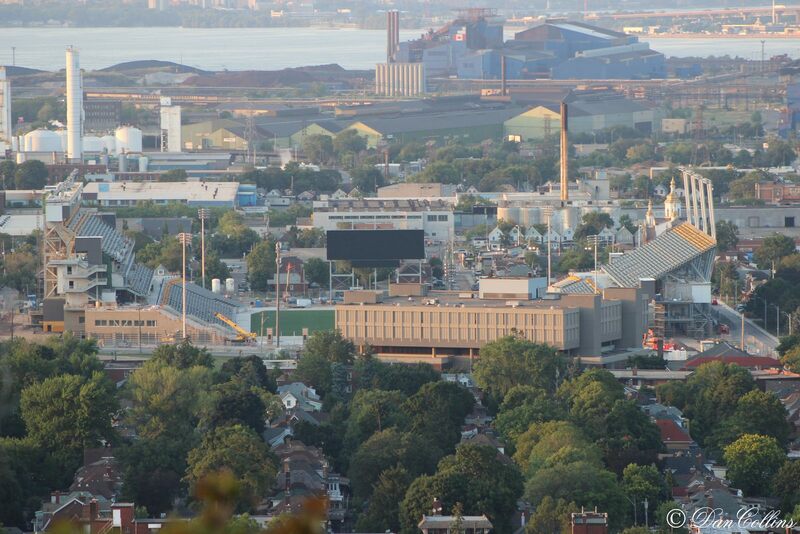 The municipality contributed $54.3m and the province - $22.3m.